This content is provided by Marshall C Stoddard. 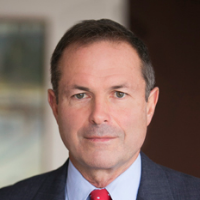 A partner in the finance practice at Morgan Lewis and leader of the firm's transactional finance practice, Marshall Stoddard focuses on commercial, banking, and bankruptcy law, spanning across economic sectors including technology, entertainment, government contracting, media, transportation, agriculture, manufacturing, distribution, transportation, and others. He has handled several international matters, including many US-UK cross border deals involving acquisitions, and collateral perfection and priority issues. For more information, view his bio at https://www.morganlewis.com/bios/mstoddard. Hobart College, B.A. ; Western New England College School of Law, J.D.